Happy Wednesday babes! 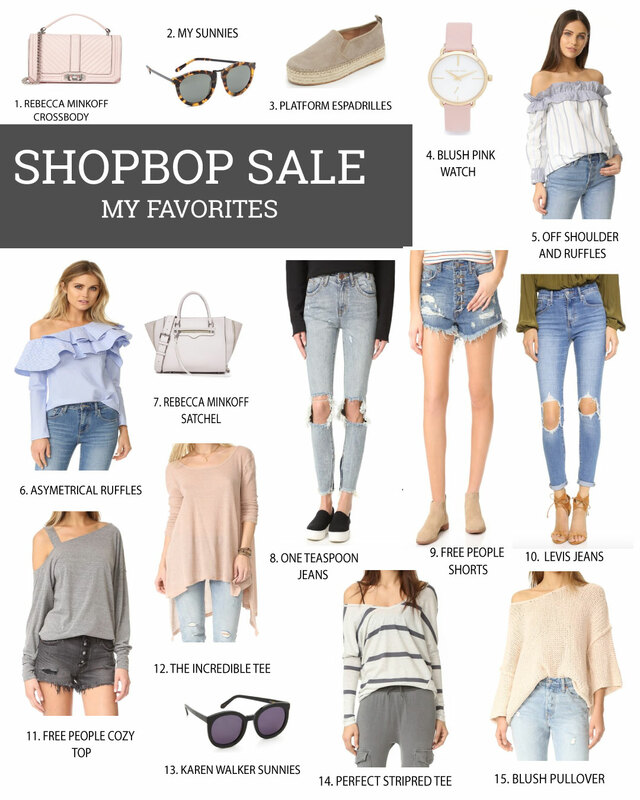 The big ShopBop Event Of The Season Sale starts today, and some of my favorite pieces are included in the sale! Lots of white, pink, blush, and blues! 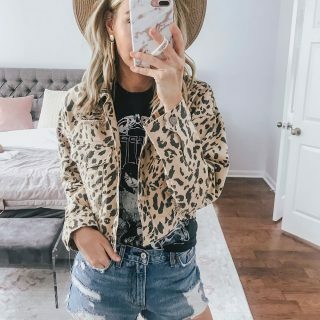 Some of my favorites from Free People, Levi’s, One Teaspoon, Rebecca Minkoff, Sam Edelman, and more! It took me a long time to pick out my favorites, and type out this post, so I hope you guys like it! Rebecca Minkoff Crossbody- I’ve been eyeing this bag for months. I think the blush would be the most ideal color to match everything I’ve been wearing lately. My Sunnies– These are the Karen Walker sunglasses that you see me wearing in almost every single one of my blog posts. For me, once I find a good pair of sunglasses I stick with them for a LONG time. Platform Espadrilles– I love these blush espadrilles. They are so perfect for summer, and look so comfy! Blush Pink Watch– This needs no explanation, I’m obsessed. Stripe Long Sleeve Off The Shoulder Top– How stunning is this top? I love the mix of the off the shoulder with ruffles! Ruffle One Shoulder Top– Again with the ruffles, #swoon. Love the one shoulder detail as well. Rebecca Minkoff Satchel- What’s not to love? This hue would go with everything this summer, and I think the size is perfect. One Teaspoon Jeans– I’ve had my eye on a couple of pairs of One Teaspoon Jeans recently. I love the way they look on, and the distressing is perfection. Levis Distressed Jeans– These have been on the lust list for months now. I think I may need to bite the bullet and see if I can get the belly band to work with these babies. They are just too good to pass up, I wish they came in maternity! 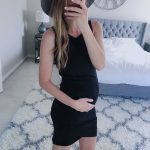 Free People Cozy Top– I could totally rock this while pregnant, adding it to the cart right now because I’m loving how comfy and cute it looks. The Incredible Tee- I just love how this tee can be worn so many different ways. It also looks great with jeans or shorts! Karen Walker Sunnies– These are another favorite of mine. I wore them when I worked with Ditto in the past, and had to send them back. I’ve been sad ever since that day, and think I need to finally buy them! 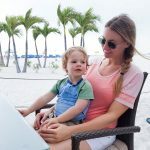 Perfect Striped Tee- This is one of my favorite tees. I wear it a lot, because luckily it still works with the bump. I love how it can be worn as a v neck or off the shoulder. Blush Pullover– When I look at this, it just looks like me. Need it! Thanks so much for stopping by, and checking out my sale roundup! 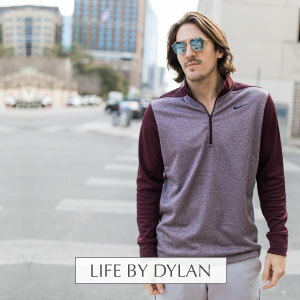 I hope that you guys found some great new pieces to add to your wardrobe! I just bought those Levi jeans from ShopBop before I knew about the sale! Bummer, but the other picks are amazing! In love with those two off the shoulder tops..sooo cute! The pink watch is pretty cute too! Such a great sale. I really like the Karen Walker sunnies and espadrilles. Such a fab sale. Love all of your picks. Checking out your denim choices. These look so cute and comfy. Can’t go wrong with the ruffle, pom pom and tassel trend. Just so fun! 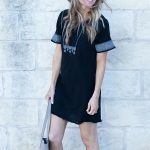 I love all of your Shopbop picks! This sale has so many fab pieces at a great deal. SO many cute picks here and I always have loved your glasses! I’m pretty sure I need everything. So many picks here!! Great picks! Loving those jeans!